Available in a Full, Queen, King, or Cal King, our Darien Platform Bed fits your standard-size mattress. Below, make your size selection and more. The Darien Platform Bed with braced ledge affords a unique look to your master bedroom suite. There's no need for a box spring in this handmade platform bed, as the mattress rests directly on its solid wood base. 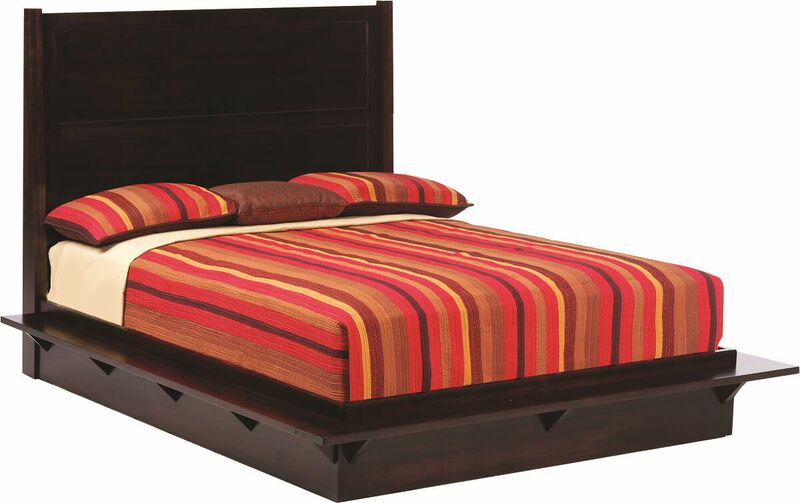 Slats for each bed are securely fastened to the side rails using small dowels protruding from the platform bed's rails. Center support legs will be added to the two middle slats on the Queen sized bed and on each of the four slats on the King and California King sized bed. Using the online options menu, indicate a preferred wood and finish for the Darien Platform Bed. 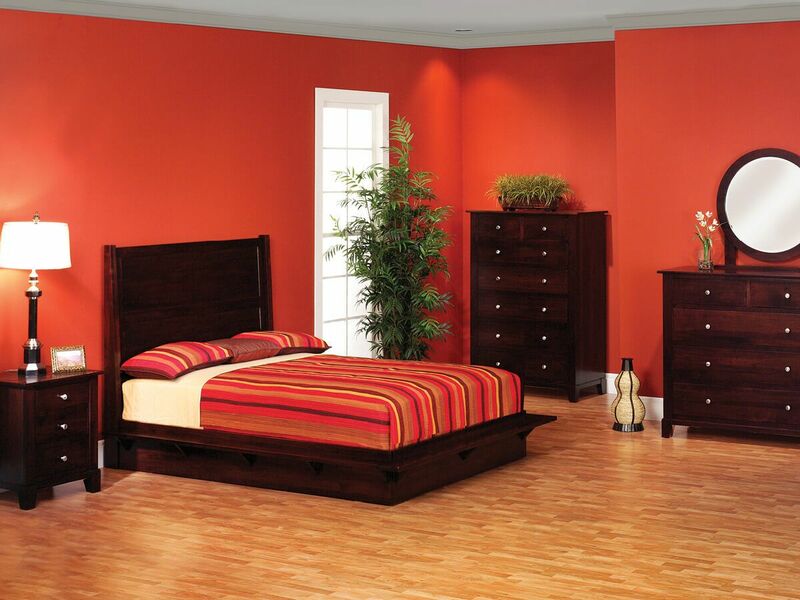 To obtain the pictured look for your own Modern platform bed, select Brown Maple with our Venezuelan Chocolate stain.